Optimize Your Garden Grow with the Rainshower Prefiltration Filter. This unique, custom prefilter was designed by Rainshower to prevent sediment from reaching the Garden Grow garden filter. 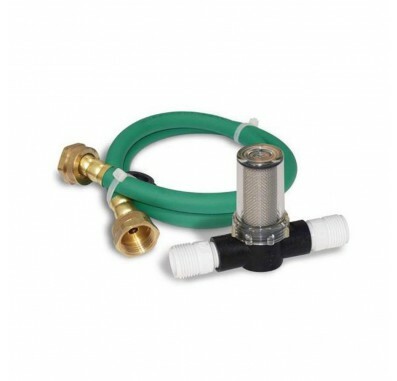 This is an industrial quality prefilter modified for garden use and is 100% made in the U.S.A. It features a 15 micron, double screen that can filter out sediment up to 5 times smaller than a human hair! 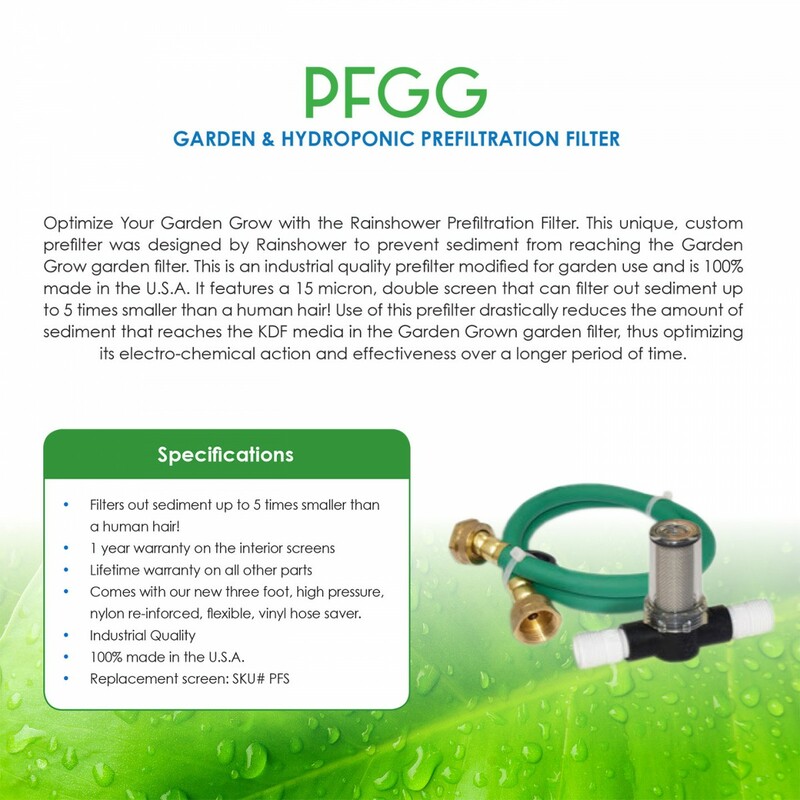 Use of this prefilter drastically reduces the amount of sediment that reaches the KDF media in the Garden Grown garden filter, thus optimizing its electro-chemical action and effectiveness over a longer period of time. Filters out sediment up to 5 times smaller than a human hair! Comes with our new three foot, high pressure, nylon re-inforced, flexible, vinyl hose saver.